(Note: You can enter as many times as you’d like. See the comments section) I’m a bit of a history geek and a real nerd when it comes to Abraham Lincoln. Of all of the U.S. presidents, he may be the most interesting. 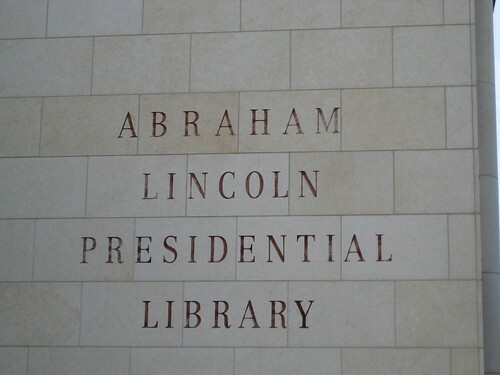 One of the places I’ve always wanted to see, but haven’t had the opportunity to visit yet, is the Lincoln Presidential Library in Springfield, IL. For all the history buffs out there, this is an awesome immersion in the history of Abraham Lincoln. One lucky Grand Prize winner will enjoy 50,000 American Airlines AAdvantage miles and a 3-night stay for two at Hilton Springfield. The prize also includes a private tour of the Abraham Lincoln Presidential Library and Museum, lunch at Subway (inside the Museum) each day, one Annual Museum Membership at the National Associates Level, a premier gift basket, admission and assistance with tours to local sites, which include the Lincoln Home, the Old State Capitol, the Herndon Lincoln Law Offices, and Lincoln’s Tomb. It’s easy to enter, just supply your contact information before September 30, 2012 at 11:59 p.m. CDT. The winner will be picked in a random drawing on October 4. THANKS for posting this (from a huge Lincoln “fan”!). Doesn’t seem to mention how many times you can enter? @ Jeff – No it doesn’t. I’ve sent a note the the American Way team to ask if there’s a limit. Keep you posted. @AAdvantageGeek – actually, you can enter as many times as you want! Thanks for asking the question and good luck! !